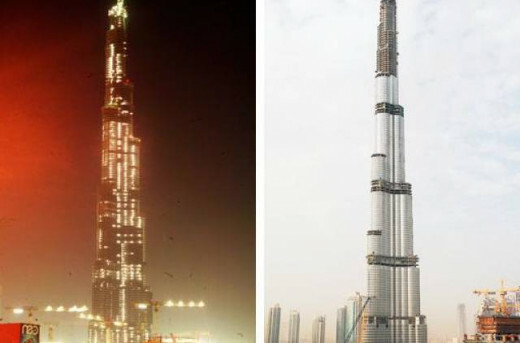 From its humble beginnings in the sand near Shaikh Zayed Road, to its dominating presence in the Dubai skyline, we chart the rise of the Burj Khalifa tower, the tallest building in the world, which opened one year ago on Tuesday. 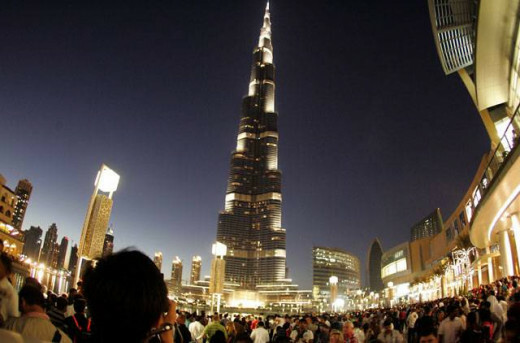 On January 4, 2010, Dubai's Burj Khalifa officially opened, becoming the tallest tower in the world. On the tower's first anniversary, we look back at its progress. 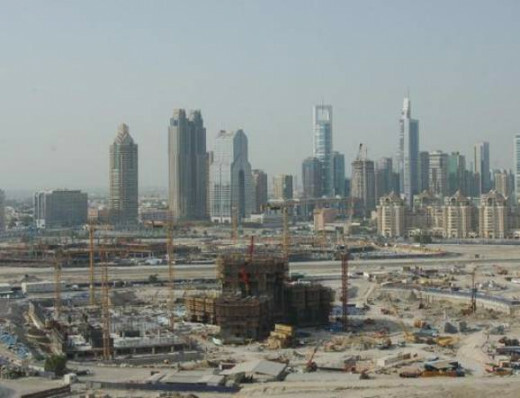 April 2006 and the building is fast taking shape as it approaches the 50 level mark. 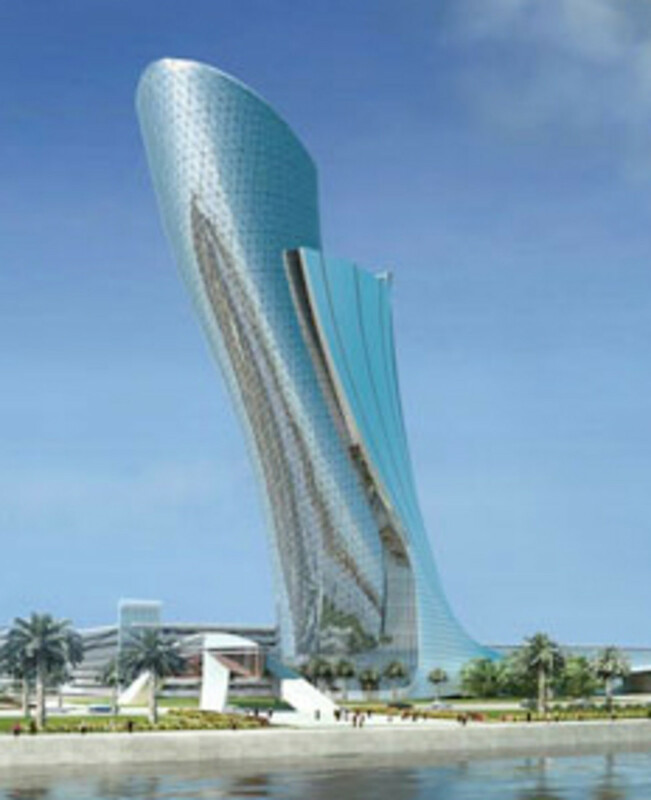 The previous year, a deal was signed with Giorgio Armani to open The Armani Hotel & Residences inside the tower. 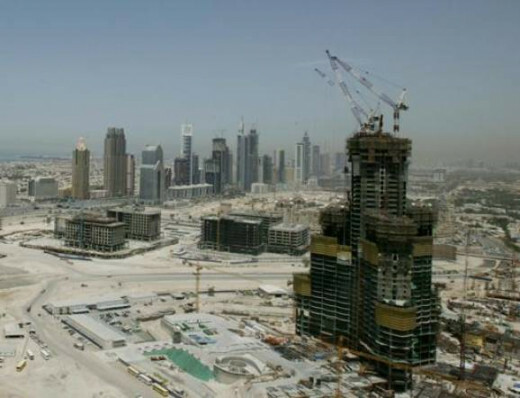 The tower is seen in this picture from October 2006. 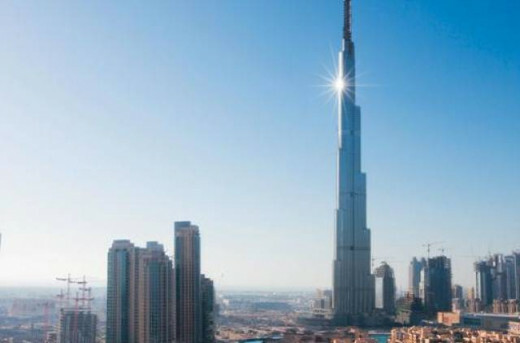 Burj Khalifa meets all four criteria listed by the Council on Tall Buildings and Urban Habitat (CTBUH), which classifies the world's tallest structures. 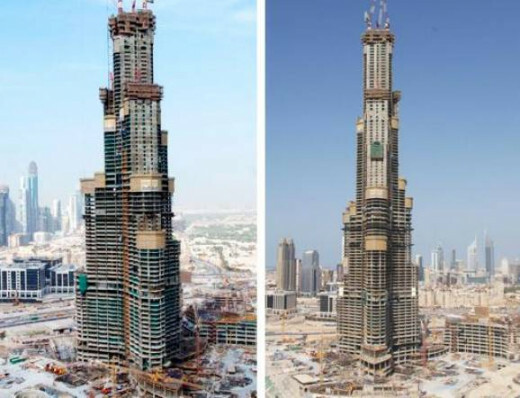 Burj Dubai became the tallest building in the world in just 1,276 days. 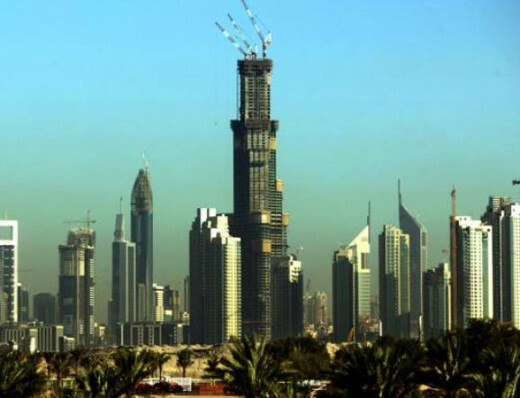 This picture shows the tower against the Dubai skyline in September 2006. 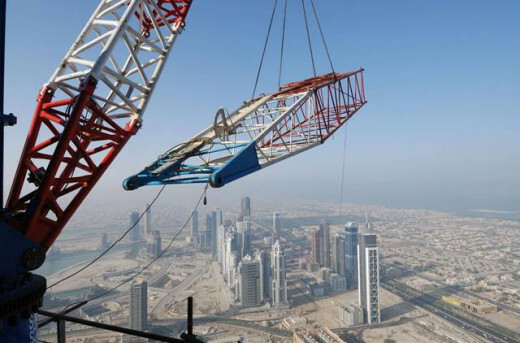 More than 5,000 consultants and skilled construction workers are employed onsite, and the world's fastest high-capacity construction hoists, with a speed of up to two metres per second, move men and materials. 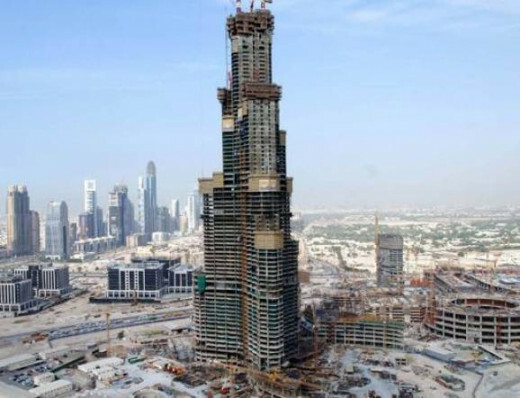 Burj Khalifa anchors Downtown Burj Khalifa, a Dh73 billion ($20 billion) mixed-use mega project, already a bustling community described as the new 'heart of the city.' 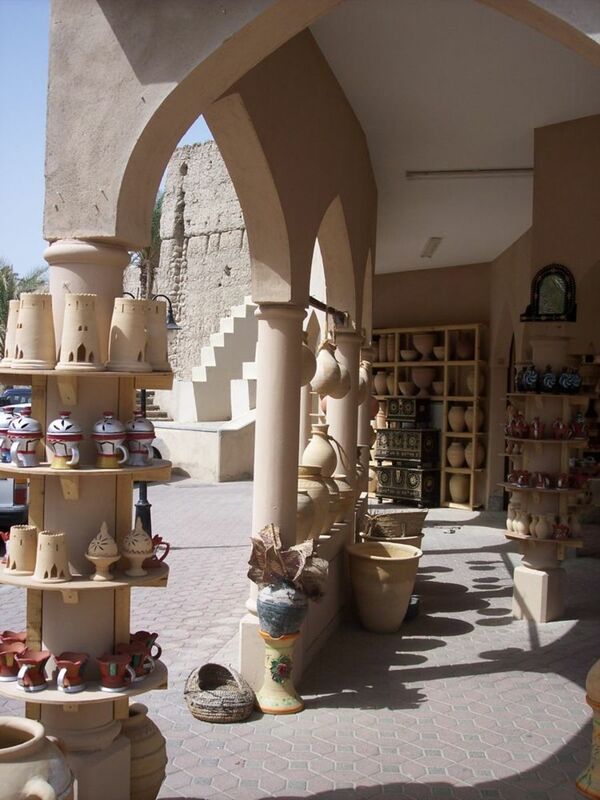 Here is the tower in December 2006. 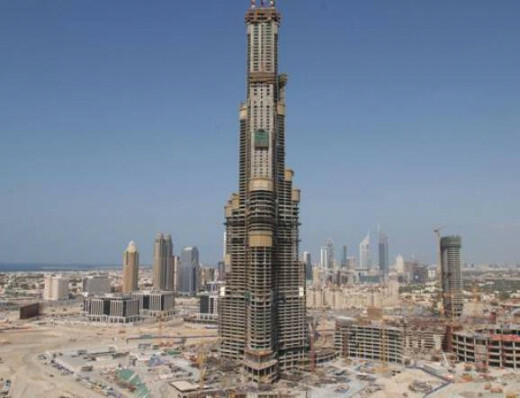 The tower reached 100 levels in January 2007. 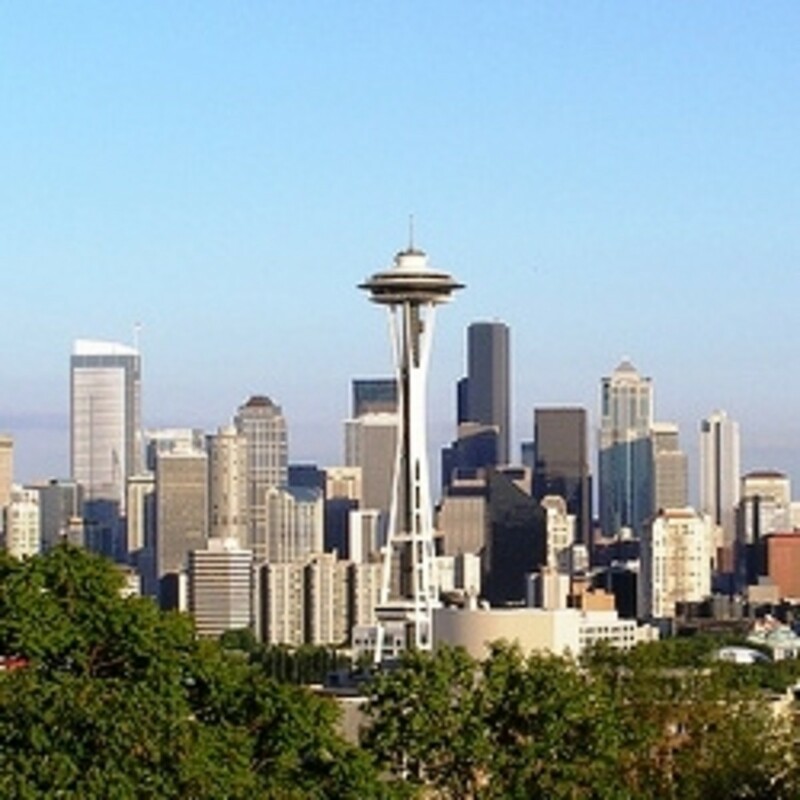 A month later it surpassed the Sears Tower in Chicago as the building with the most floors in the world. 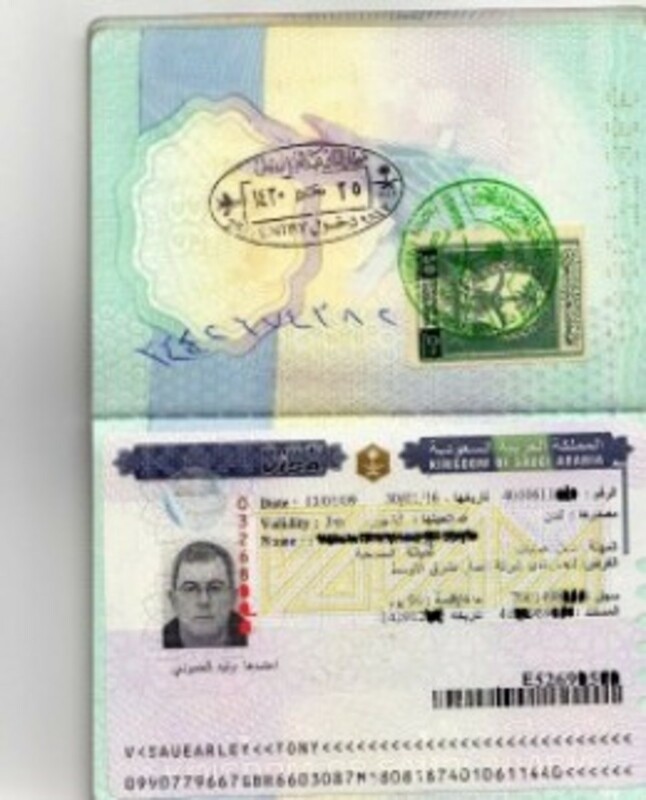 Late 2007 and early 2008. 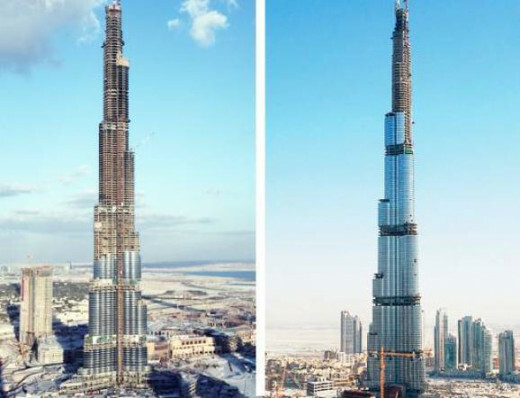 Burj Khalifa is now the world's tallest building and tallest man-made structure, having recently surpassed the height of the KVLY-TV mast in North Dakota, USA. 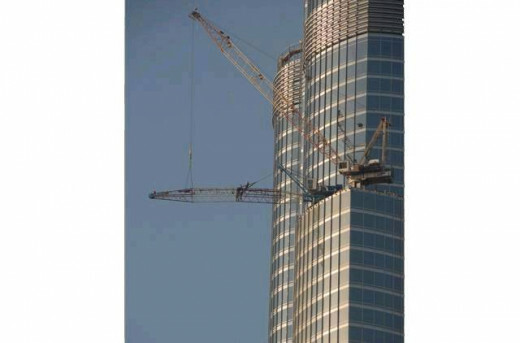 November 2009 and the building is very near completion, following the dismantling of the last high-altitude crane used in the tower's construction. 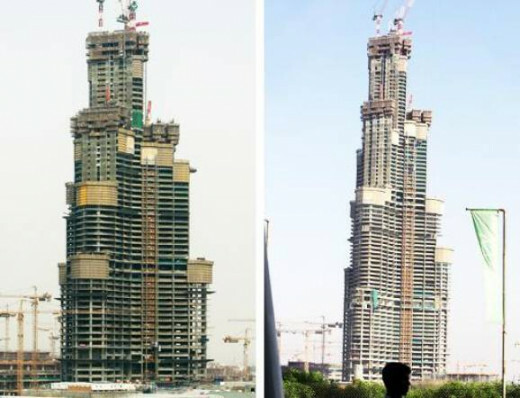 Work goes on near Level 156 of the Burj Dubai, offering incredible views of the city. 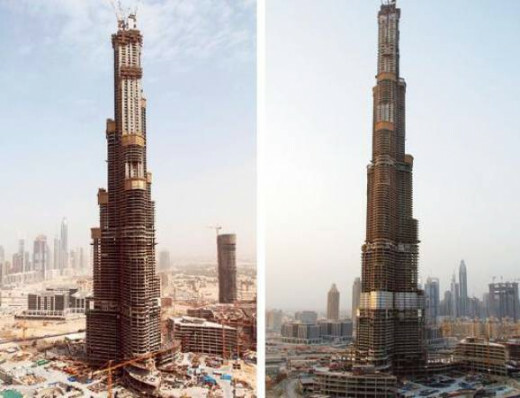 Burj Khalifa entered the final leg of construction in November 2009, with the last high-altitude cranes being dismantled. 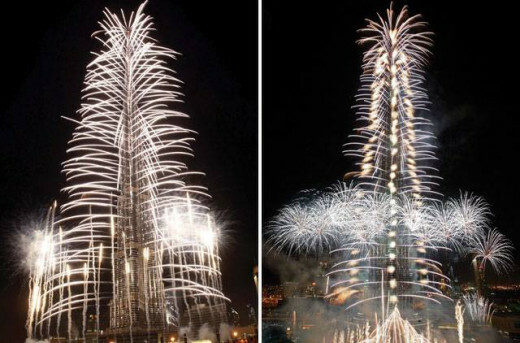 A huge fireworks display marked the opening of the tower on January 4, 2010, to coincide with the Accession Day of His Highness Shaikh Mohammed Bin Rashid Al Maktoum, UAE Vice President and Prime Minister and Ruler of Dubai. 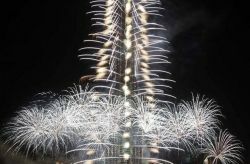 At the Top, the Burj Khalifa's observation deck, opened to the public the day after the tower's grand opening. 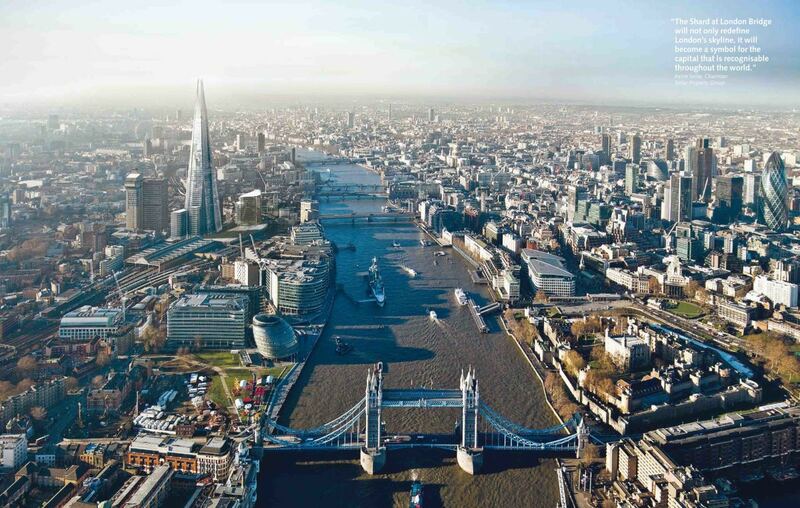 At first the observatory, situated on the 124th floor, faced a few problems, and was shut temporarily for technical reasons at the start of the year, but it is now one of the city's most popular tourist attractions. 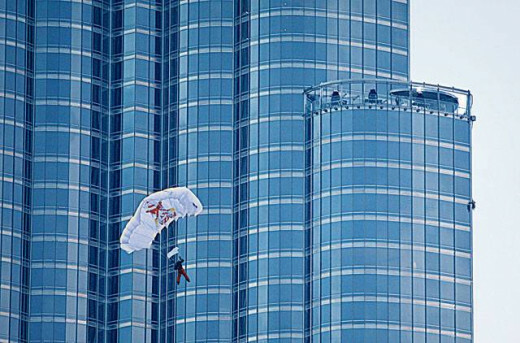 Two days after the grand opening, an Emirati man set a new world record for base jumping after parachuting from the top of the Burj Khalifa. 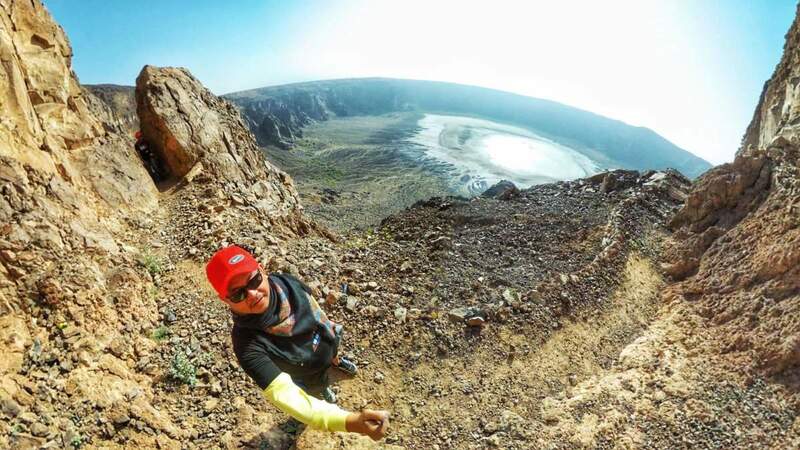 Nasr Al Niyadi and his skydiving trainer Omar Al Hegelan made a perfect landing after jumping from the 160th floor of the world's tallest building. 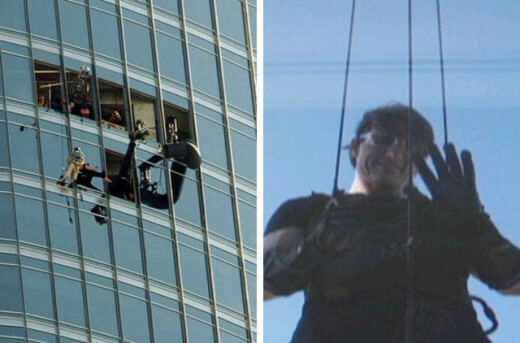 The duo, from the Emirates Aviation Society, fell 672 metres (2,205 feet) at a speed of 220 kilometres per hour in under one-and-a-half minutes. 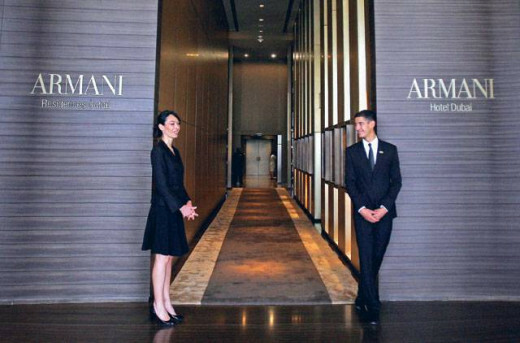 After a few delays, designer Giorgio Armani formally opened the world's first Armani Hotel in the Burj Khalifa on April 27. 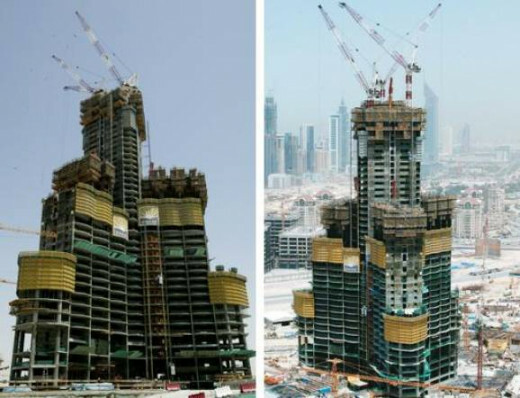 The hotel and residences occupy space in the world's tallest tower from the concourse to the 16th floor, as well as floors 38 and 39, and have been designed by Armani himself "in every aspect". 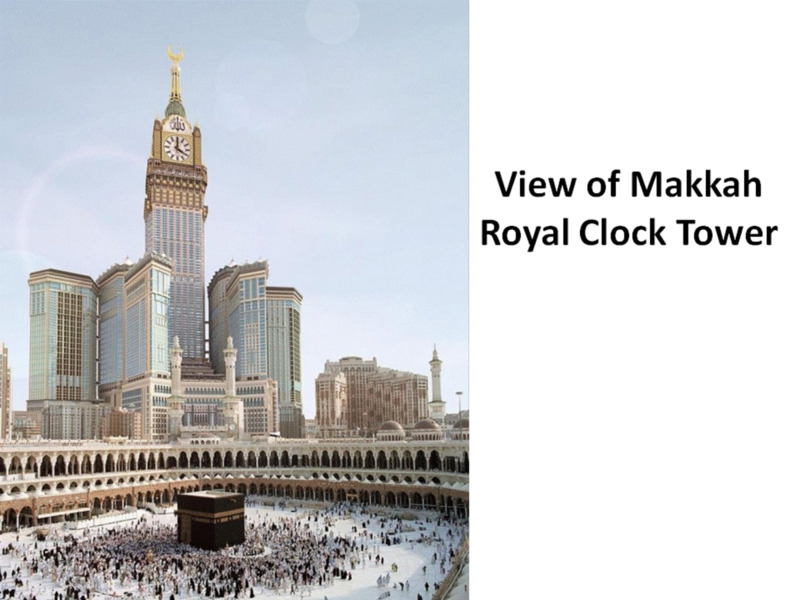 That is some tower! Nice lens.